Father’s day is Sunday June, 18th. I’ve put together a list of most love Arbonne products by men to make your gift giving for this holiday easy! Show Dad how much you love him by giving him something he will actually use. Order today so it will arrive in time! Like always all our products are pure, safe and beneficial! Men worry about wrinkles too (even if they won’t admit it). Help them set their clock back with this anti-aging trio. Includes Micro-Exfoliating Cleanser (4 fl. oz), Anti-Aging Moisturizer Broad Spectrum SPF 15 Sunscreen (1.7 fl.oz. ), and Eye Repair Cream (0.5 fl.oz). This is by far my fiance’s favorite product that Arbonne has, so I’m sure your dad, husband or partner will love it too! It goes on smooth and clear, so they can see exactly where they are shaving. It softens the hair and conditions the skin for a lot less irritation. My fiance is a night owl and this has been proven a hard habit to break. This sleep spray has been extremely helpful in getting him to calm down and hit the hay a lot earlier then normal. 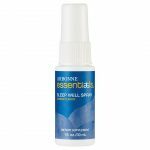 A couple sprays under the tongue delivers an effective does of melatonin with a botanical blend to get them to bed in no time. Does the man in your life love his protein? 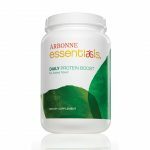 Check out our Protein Boost. It delivers 10 grams of plant-based protein from pea, rice and cranberry, without any added sugar or flavors, for maximum flexibility. They can add it in their shakes or smoothies or any other food or beverage. Turn an empty calorie meal like pancakes into something with a protein boost! Need they need healthy alternative to soda or energy drinks? Fizz sticks is your answer. They come in citrus and pomegranate flavor and are only 13 calories each, less then 1g of sugar and only 2g of carbs. Not only will these give him energy, but help promote alertness and enhance cognitive performance◊, help promote endurance and enhance motor performance◊, and help reduce fatigue. Whatever gift you decide I hope you also spend some great quality time with the amazing fathers in your life because at the end of the day your time is the greatest gift you can give anyone.